Still life occupies a prominent place amongst the pictorial genres of Western visual art, but is too often seen as an academic exercise in imitation. This ambitious, original exhibition turns this perception upside down with an overview of 400 years of Spanish still lives. Spanish still lives occupy a unique place within the European context, and have an unmistakeable relationship with Flemish and Italian models, but resolutely unique imagery, developed by Sanchez Cotán and his contemporaries. The genre experienced an unprecedented boom in the late Baroque to suddenly become a real battleground for the arts in the twentieth century. In still life, avant-garde notably finds a unique medium for a new experiment: cubism. This exhibition brings together the great Spanish masters to illustrate this breath-taking journey, from Velázquez and Goya to Picasso, Dali and Miró. It has been almost 20 years since the last exhibition of Spanish still life (Bilbao Fine Arts Museum,1999). This retrospective gives the first ever overview of the four-hundred year evolution of Spain's most beautiful still life paintings and is based on four thematic and chronological clusters per century. 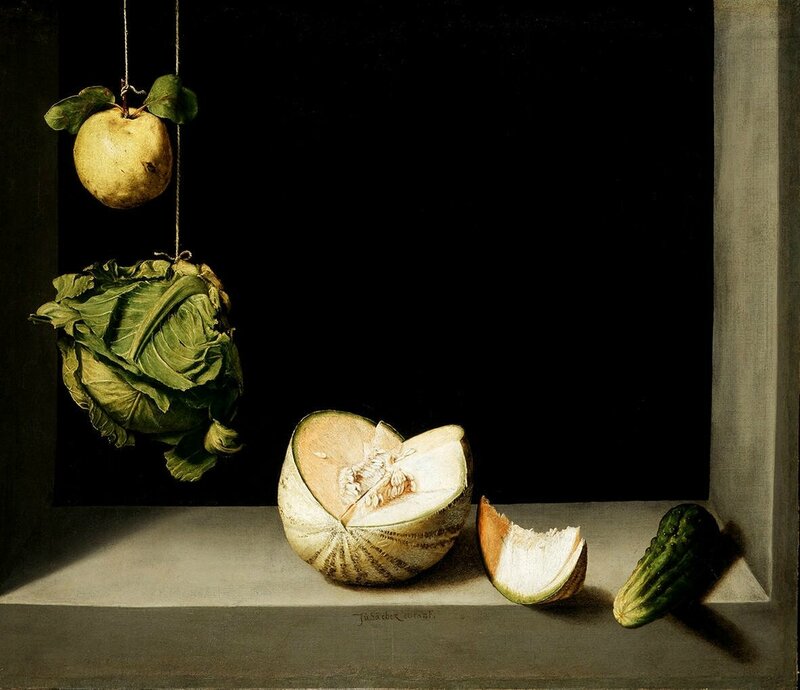 Juan Sánchez Cotán, Quince, Cabbage, Melon and Cucumber, Ca. 1602, San Diego, gift of Anne R. and Amy Putnam © The San Diego Museum of Art. The eye-catcher at the exhibition's start in the seventeenth century is a piece by Sánchez Cotán, who is considered the “founding father” of the genre and influenced several generations to come. Juan Sánchez Cotán (1560–1627). 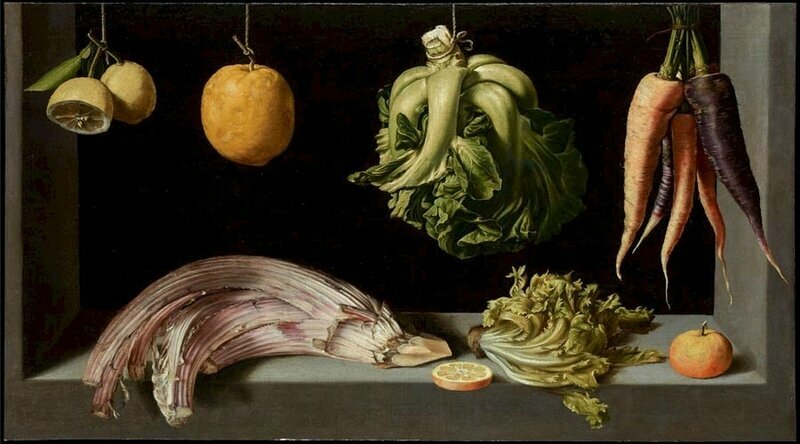 Still Life with Fruit and Vegetables, ca. 1602. Oil on canvas, 69.5 x 96.5 cm. Várez Fisa Collection, Madrid. 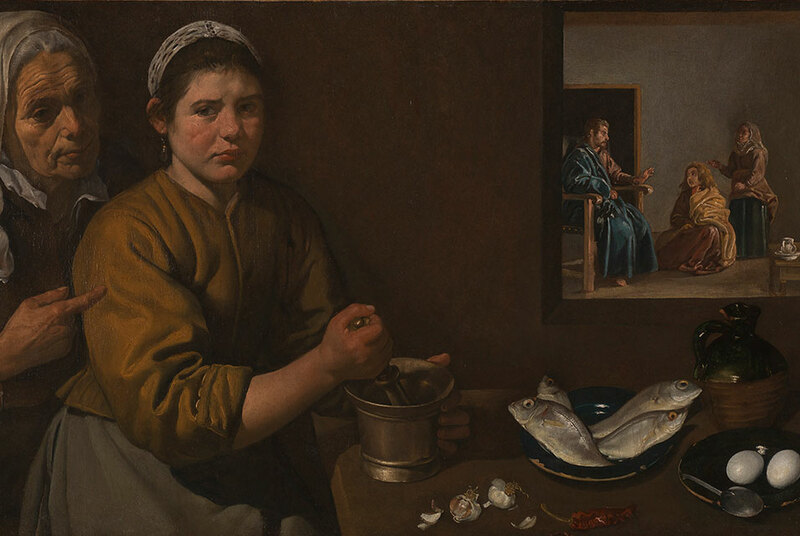 From the first seventeenth-century bodegones the exhibition shifts its attention to the personal interpretations of artists such as Velázquez, Zurbarán and Goya, before going on to the formal experiments of Picasso, Dalí and Miró and works by contemporary Spanish artists such as Barceló and López. Juan van der Hamen y Léon, Still life : fruit and glass, Ca.1629. Oil on canvas, 87,3 x 130,8 cm © Williams College Museum of Art. The exhibition focuses on a lesser-known aspect of their work, casting another light on the oeuvres of these prominent Spanish artists by showcasing them in the still life context. Diego Velázquez, Christ in the House of Martha and Mary, Ca. 1618, Oil on canvas, 60x103.5 cm © National Gallery, London. Spanish Still Life presents a unique opportunity to discover all of these exceptional artworks at a single location. 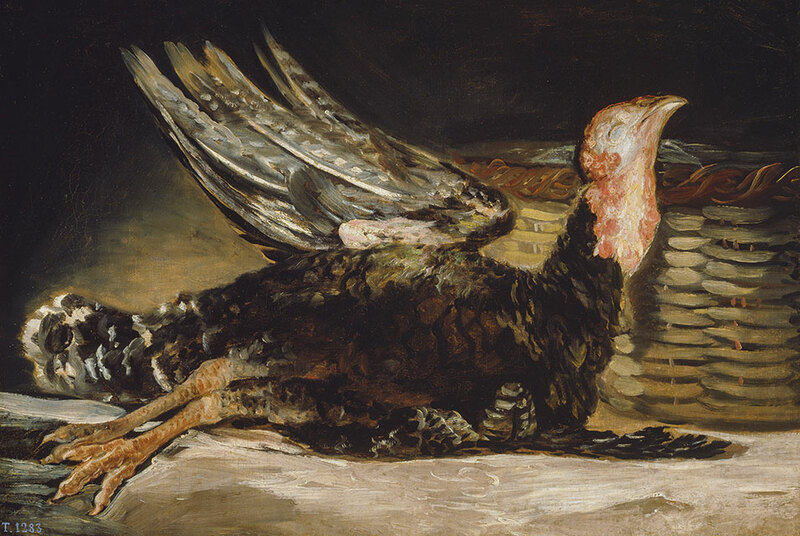 Francisco de Goya, Dead Turkey, 1808 – 1812, Oil on canvas, 45x62 cm © Museo Nacional del Prado. After its first showing in the Centre for Fine Arts Brussels the exhibition will travel to the Musei Reali di Torino.